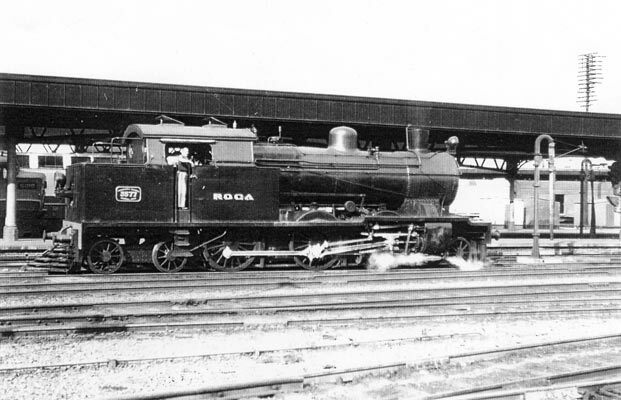 The Class 8E 2-6-4t type were 3 cylinder machines, dating from 1927, used on suburban services of the 5'6" gauge Ferrocarril General Roca (FCGR). This generally meant services from Plaza de la Constitución. They were modified in the early to mid 1950s. Click here to read the piece "Two of the Many Races there Were" by Ing. L.D.Porta which includes some details of these locos. The light modifications undertaken essentially dealt with the exhaust ejector, combustion system improvements (these machines being oil fired) and valvegear alterations. These machines received what Porta described as a 'Lemâitre' type exhaust system. In other words they received an early incarnation of what has become known as the Lempor exhaust ejector. A problem noted was the carbonisation of the blast nozzles which had to be removed if performance was to be maintained. This problem was to be solved with further development of the Lempor system. The Lempor is widely considered to be a device dating from the 1970s but this is only partially true. 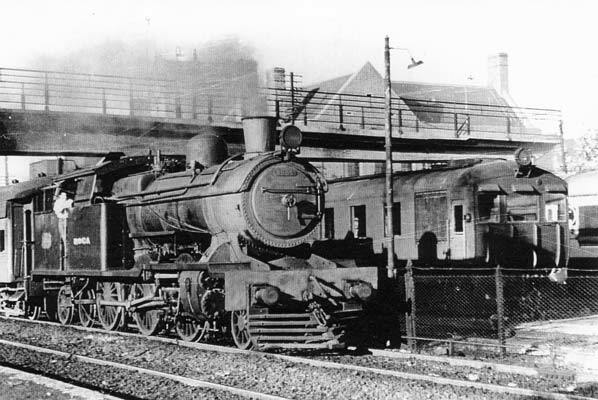 The final development work was undertaken on FCGB Class C16 4-8-2 No.1802 however the modified 8Es and 8Cs were the first locomotives to receive the Lempor. At this time Porta was evaluating the Kylpor and Lempor alongside each other. As has been shown since the Lempor is the superior exhaust ejector. As built the 8Es were capable of 900dbhp which, in the then prevailing maintenance conditions fell off rapidly to around 600dbhp. After modification the maximum output was increased to 1200dbhp. It is reported the fall off in output was considerably smaller. It is believed 64 8Es were modified. Further details can be found in Porta's 1969 I.Loco.E. paper, now available in book form. Published by Camden Miniature Steam Services details are here.